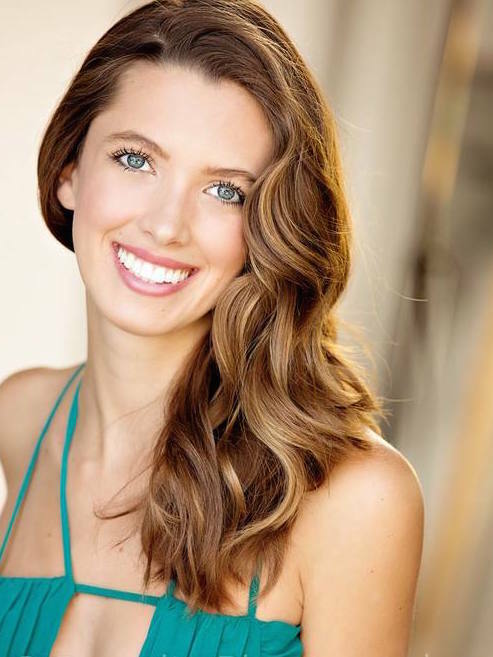 Actor Spotlight: Dynamic Australian Actress Alli McLaren! Hailing from Melbourne, Australia, actress Alli McLaren’s impressive acting performances in a variety of genres, both on stage and screen, are demonstrative of her vast range and skill. With acting in her blood, as both her mother and grandmother are acting coaches; McLaren began honing her craft at an early age. Although facing many setbacks throughout childhood, McLaren has developed her acting talents by channeling these challenges to further her understanding of characters and their emotions. Although McLaren states that “drama is her favorite genre,” and while the majority of her performances elicit strong emotions from viewers she is much more then an outstanding dramatic actress. McLaren proves her genre flexibility in the action packed comedy film Writer’s Block, where she plays the starring role of Sophie. With a light and boisterous comedic undertone, Writer’s Block is packed full of exciting scenes and fast paced choreographed action. As the star of the film, McLaren inhabits the role with perfect comedic timing and impressive action skills. A stark contrast from the majority of her past performances, McLaren found herself engaging in combat and using weapons throughout the film, which was a new experience for the young actress, but something she found extremely exhilarating. “I always love to change up what I do to challenge myself both creatively and artistically, thus it also makes it more fun for me” says McLaren. Due to the immense popularity of the film, which was produced by White Night Films, a sequel is currently in the works. Return of Greta, which was written and directed by Boardwalk Empire star Victor Verhaeghe also showcases McLaren’s comedic chops as a beauty contestant who must overcome the often silly and surreal drama of pageant life. The film Return of Greta is a tremendously poignant and satirical look at a real life institution. Under the direction of Emmy Award winning actress Blanche Baker, McLaren delivers a stirring dramatic performance with a strong core as Gretchen in the film Infidelity. In the film, which is a brilliant 21st century re-imaging of the French script La Despute, McLaren plays a scientist attempting to discover the cause of infidelity in couples; and it is up to her to tie together all the dramatic threads of love and loss between the couples she researches. McLaren’s performance in the film is as thought provoking as it is powerful. “For me, its very easy to find a connection to a character and then go and watch people in real life who are like that character, to build a foundation from,” admits McLaren. With the rare ability to listen to both a persons words, and body language, McLaren has the skills to bring real, heartfelt emotion to any character she plays. My Year Of Silence, a film written by and starring McLaren, is proof of this. As the character of Callie, McLaren craftily weaves an emotional journey based on her own life experience, a performance that is highly anticipated. The open minded and always hungry for something new approach to acting that Alli McLaren brings to the table is as refreshing as it is skillful. “I feel like working with so many different people and in so many different genres makes me a better actress,” says McLaren. One of Spain’s most sought after exports, Maria Luna is a dynamic and multifaceted actress who brings complexity and diversity to her every role. Active in theatre since a young age, Maria Luna was chosen to participate in a number of international drama programs, advancing her education on and understanding of her craft. With a dream of helping to create a global artistic collaboration through acting, Luna’s humanitarian nature is the driving force behind her strong performances. Starring as Lucy in the film Dada, which wrapped production earlier this year, Luna tackles the very real and concerning plight of human trafficking. Set in Kenya, Luna’s character of Lucy finds herself thrown into a dangerous world she does not understand. The experience forces her to embark on a journey where she transitions from naivety and fear to empowerment, compassion, and freedom. To further the authenticity of the role, Luna prepared by living in Kenya, doing volunteer work, and educating herself on the subject through the real life stories of others. In the 2014 film Romanian Fairy Tale Luna played the film’s integral role of Sara, a women who wishes to leave her life behind and start anew. Sara finds a kindred spirit in Timo, a young boy on the run from an abusive father. Luna’s character guides Timo through the labors of growing up amidst abuse, and emotional neglect. Sara develops through the film’s progression into both a friend and a mother to young Timo, saving the boy in mind, body, and spirit. Maria Luna appreciates all genres of film, from the dramatic, to the comedic, or in the case of the 2015 film No Solicitors, the dark world of horror. In Emmy nominated director John Callas’s disturbing and unique tale of a simple solicitor at the door spiraling into a terrifying situation, Luna’s character Martha stands out. Luna plays a woman whose family must come first, at any cost. The terminal illness of her young son forces Luna’s character to push beyond past social acceptability, while still remaining very human. Luna brought this amazing character to life in a seamless manner that exposed her emotional range as an actress layer by layer. Whether playing a struggling mother, a woman on the run, or a Pentagon Special Agent in 2015’s The Sheriffs, Maria Luna proves she can create a real character of depth in any role. As Mariana in veteran sci-fi director Neil Jordan’s Starship: Rising and Dawn of Destruction, Luna plays the catalyst in an intergalactic struggle for survival. The role as the sister to the film’s hero Lt. John Worthy, places Luna at the heart of the dazzling science fiction series, even having her play a robot version of herself as part of the twisted enemies’ plans. Summing up her perspective perfectly: “I love everything about acting, doing the research, getting into character, and finding how I can relate to the situation, expressing in a way which I can connect to the rest of the world,” said Maria Luna. Luna’s greatest desires in her acting career are to bring people together, form new collaborations, and affect change through her roles as seen by audiences across the world. Providing exemplary performances in a variety of genres, and with such realism and heart, actress Maria Luna is undoubtedly one of the most talented Spanish actresses working in Hollywood today.